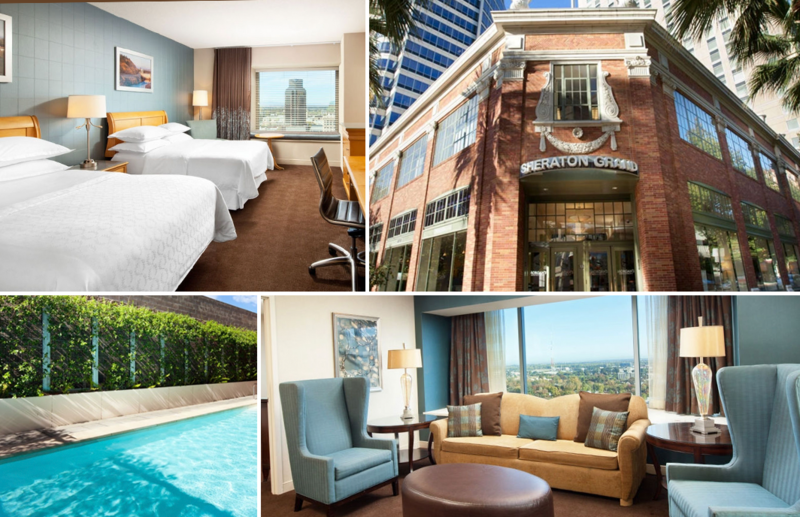 Conveniently located in downtown Sacramento, this 4-star convention hotel is a 503-room high rise. The Sheraton Grand Sacramento alleviates the shortage of available hotel rooms near the convention center. Business travelers find the Sacramento Convention Center conveniently located across the street from the hotel and the State Capitol Complex just a block away. The property is conjoined with a historic structure designed by Julia Morgan, of the famed Hearst Castle, and includes a ballroom (10,500 SF), 19 meeting and conference rooms, and business center facilities. The Sheraton Grand Sacramento is a post tension high-rise on a tight urban site. The project was funded by fixed city bond financing and was delivered on schedule and on budget.